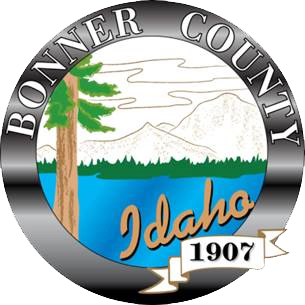 Robert Beers, the Bonner County coroner, is an elected government official who confirms and certifies the death of an individual within Bonner County. Before serving Bonner County as Coroner, Rob was a Sandpoint City police officer, detective and patrol supervisor. He is also a veteran of the U.S. Marine Corps where he served four years. Rob has been married to his wife Danae for 12 years. They have two children, Kayla 11 and Zack 9. He enjoys spending time with his family, camping, swimming, reading and playing video games. Deputy Phyllis Jay, D-ABMDI: Phyllis is a retired, 37-year veteran of the Bonner County Sheriff’s office. She was a dispatcher, receptionist, civil deputy and Dare officer. She was a sergeant in both of the Domestic Violence and Community Policing and Detectives divisions. She has been a deputy coroner for over 17 years. 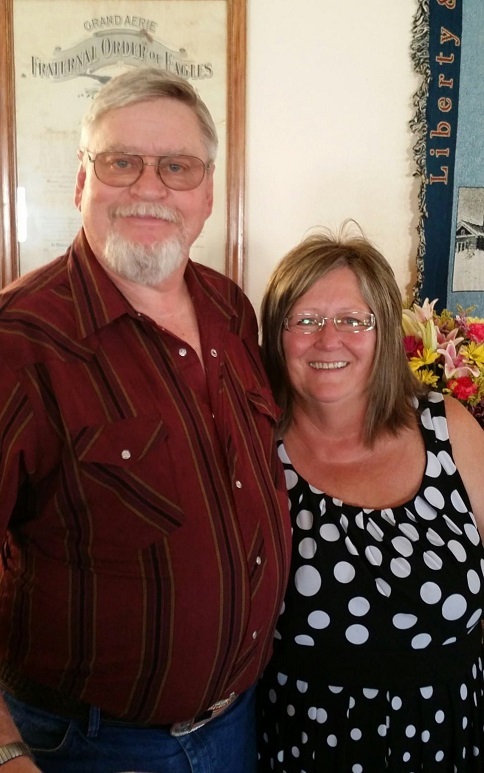 Phyllis and her husband Jerry have been married for 34 years. They have three adult sons; Kevin, Eric and Ron. They have 9 grandchildren and one great granddaughter with a second on the way! Phyllis enjoys spending time with her grandkids, hunting, fishing, 4 wheeling and attending church activities. 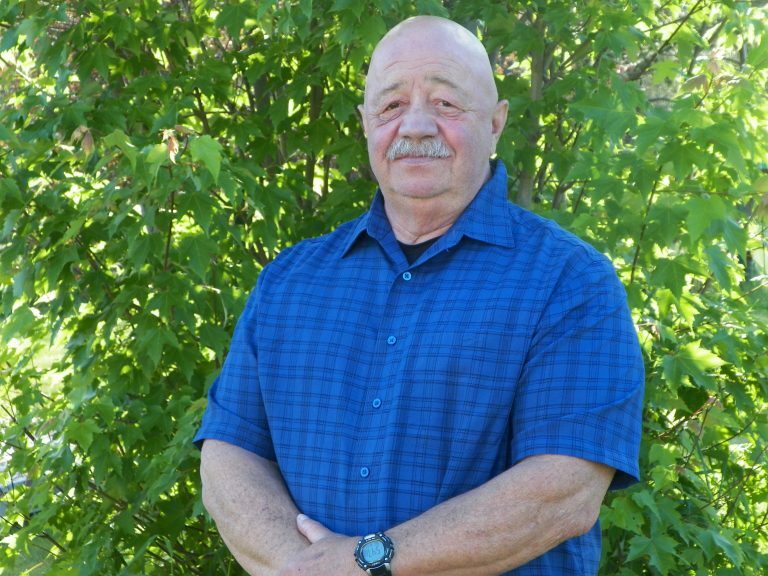 Deputy Anthony (Tony) Lamanna, D-ABMDI: Tony is a retired logger and law enforcement officer. Tony started as a volunteer deputy coroner working with Wally Mitchell in 1969. He also volunteered to work with Spokane County pathologist Dr. Lindholm for two years. In the 80’s Tony trained and used cadaver dogs for 12 years assisting the Spokane County Major Crimes unit. He has been involved in approximately 900 death investigations throughout his career as a deputy/volunteer coroner. An interesting historical note about the Lamanna family history, Tony’s grandparents immigrated to America from Italy and settled four miles east of Priest River in 1898. Tony and his wife Cathy have been married for 33 years. They have eight children, 5 girls and 3 boys. They also have 10 grandchildren. Tony enjoys weightlifting and spending time with their two granddaughters who they adopted in 2013. The Coroner is responsible for the investigation of the manner and cause of deaths, and may need to determine the facts as to how, when, where, and by what means the death occurred. The Coroner may also need to investigate deaths which occur by natural causes if they fall under certain circumstantial criteria according to Idaho Code. In the case of a stillbirth of a fetus of twenty weeks or more. What are the legal responsibilities of the Coroner? Under Title 19, Chapter 43, Section 194301, of the Idaho Code, The Coroner, as soon as he is informed that a person in his county has died: As a result of violence, whether apparently homicidal, suicidal or accidental, or A) Under suspicious or unknown circumstances, or B) When not attended by a physician during his last illness and the cause of death cannot be certified by a physician, shall go to the place of death and take charge of the body. An investigation into the events leading up to the person’s death shall commence in cooperation with the appropriate law enforcement agency. The Coroner may authorize an autopsy to be performed by a licensed physician in the State of Idaho to aid in accurately and scientifically determining the cause and manner of death. The Coroner shall also prepare a written report of the factual information gathered during the course of such an investigation. The Coroner may use many different methods when determining the cause and manner of death. This includes medical records from physicians, hospitals, and other health care facilities. Federal Code concerning protected health information specifically indicates that protected health care information can be disseminated to Coroners for the purpose of aiding an investigation into the cause and manner of death and to assist in the identification of a deceased. Although these records are placed in the case file, they are not subject to public view. Per Idaho Code, Title 19, Chapter 43, Section 194301B, the Coroner may authorize an autopsy without consent of the next of kin. The forensic autopsy includes a detailed external examination, surgical examination, X-rays, and collection of tissue and bodily fluids. Tissues are prepared and examined microscopically by our forensic pathologist. Bodily fluids are submitted to one or more laboratories locally and throughout the United States for analysis for the detection and quantity of alcohol, prescription or illicit drugs, or poisons. Cultures may also be prepared for determining viral or bacterial diseases. The results are reviewed by the forensic pathologist to aid in determining the cause of death. Death certificates are prepared by the funeral home. Once the investigation is complete, the Coroner will record and certify the death certificate to reflect the cause and manner of death. This information will then be transmitted to the State of Idaho, Department of Vital Statistics. The Coroner does not issue death certificates to the general public. Death certificates are only available from the State of Idaho, Department of Vital Statistics. Under Idaho Code, the Coroner, if he has reasonable grounds and at his discretion, may conduct an inquest into the manner of death of a person. The Coroner will summon six (6) persons qualified by law to serve as jurors to appear before him to hold said inquest. Jurors shall hear sworn testimony of factual information by witnesses called by the Coroner, review photographs, reports and documents to determine the manner of death. The decision of the Coroner’s Inquest is final and not subject to appeal. The Coroner’s Office may collect personal property that is determined to be of evidentiary value or for safe keeping. Real property, such as residential dwellings, buildings, or automobiles are sealed or secured until the legal next of kin is identified. In most cases, property determined not be of value to the investigation, will be turned over to the legal next of kin. Prescription medications or contraband will be disposed, destroyed or turned over to law enforcement officials. In the event the legal next of kin cannot be located, the Coroner will work with the Bonner County Public Administrator for disposition of the property. Reports generated by the Bonner County Coroner’s Office are subject to public view only after the conclusion of the investigation. These reports are available upon written request, and appropriate fees are forwarded. The reports do not included protected health information and reports or documents obtained from other agencies. Contrary to popular belief, visual identification by family or friends is not usually necessary. Many methods are used to identify remains by the Coroner’s Office. In most cases, photographic identification is all that is required. Occasionally, other methods, such as fingerprints, tattoos, jewelry, X-rays, utilized for positive identification. We understand that family may want to view their loved one as soon as possible. It is recommended that this be done at the funeral home facility. We will work with funeral homes to insure this can be accomplished as quickly as possible. The Bonner County Coroner’s Office supports the efforts by the various organ and tissue donation organizations. We will make every effort to accommodate the wishes of families to donate. The Coroner will evaluate the circumstances surrounding the death and determine if donation can proceed. The Coroner may consult with the Prosecuting Attorney of Bonner County, if needed.